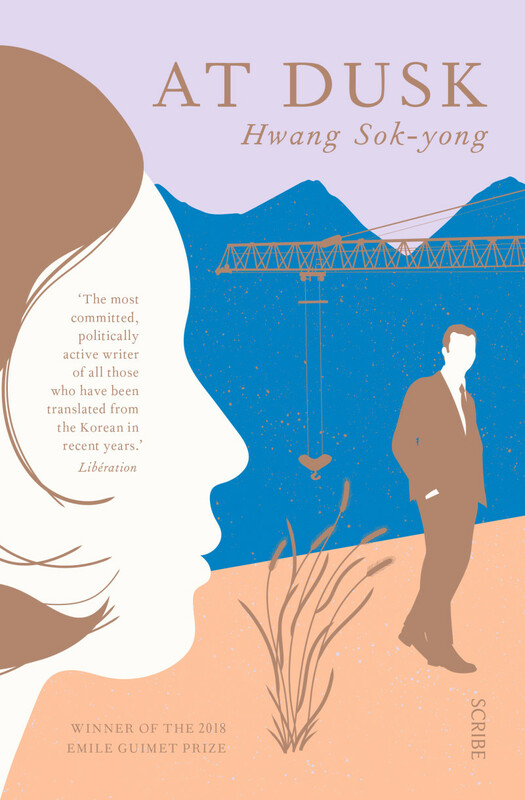 In At Dusk, award winning Korean author Hwang Sok-Yong delivers another beautifully observed tale of lives impacted by the developments that have swept his country in the last fifty years. The book opens with Park Minwoo, a successful architect receiving more than one call from the past, forcing him to revisit and reconsider the path he has taken to success and what it has cost him. At the same time, a young, struggling playwright Jung Woohee lives a hand to mouth existence in the pursuit of her craft and slowly gets drawn into Park’s story. … I’d long ago resolved not to care too much about a world that didn’t care about me in return, and had therefore distanced myself from him aswell… After a while, being ambitious means having to sift out the few values we feel like keeping and toss out the rest, or twist them to suit ourselves. Even the tiny handful of values that remain get stuffed into the attic of memory, like some old thing bought and used up ages ago. What are buildings made of? In the end, money and power. They alone decide which memories take shape and survive. When he returns to that village he finds the embodiment of that philosophy. He finds that his old house and the trees that surround it have gone, replaced by “boxy two- and three-storey cement buildings that occupied downtown from the shopping area all the way to the residential area”. And the same, it turns out, has happened to the slum area of Seoul called Moon Hollow that Park and his family moved to when he was a child and lived in until he became the only one of his peers to go on to university. The thing about memory is that two people can end up with very different versions of the same event. Either the storyline gets distorted because of your emotional state or time has moved on. In contrast to Park’s success is the marginal existence of struggling playwright Jung Woohee. While the slums of Park’s childhood no longer exist, people still need money to survive. Jung lives on the edge of poverty in a damp-ridden basement, working the graveyard shift at a convenience store, surviving on out-of-date food while trying to get her next play written and produced. Slowly, almost imperceptibly, her story and Park’s story converge in a manner that is both unexpected and moving. At Dusk is a book steeped in melancholy – for times gone by, for relationships lost or abandoned, for a world that no longer exists. Hwang delves deeply into the psyche of his characters and in doing so tells universal stories of love, ambition and regret. Once again, it feels that very little of his original intent is lost in the translation by Sora Kim-Russell, a long time translator of Hwang’s work. At Dusk has already won the 2018 Emile Guimet Prize for Asian Literature, testament to another superb novel from a writer at the top of his craft.